When we were kids, Kodak was a brand that was an integral part of our everyday life. Before Apple and the rise of the multi-tasked, hyper intelligent smartphones that can take perfect pictures with all the filters you need, there was Kodak, its cameras, its slides, its films and its colourful logo that had something fascinating just like some kind of flags of a very exotic and far away country. Then, the brand faded away like a film that would have been overexposed. Yet, we could not help but feel a certain kind of nostalgia when we see this logo, working as a madeleine de Proust reminding us of the good old days when we had to wait before discovering our photographs. 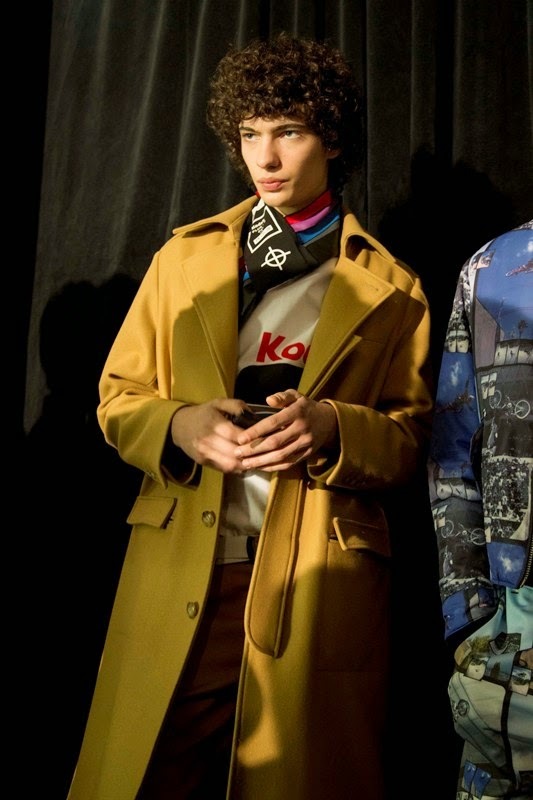 So, it was quite a good surprise when we saw the AW15 Menswear collection of Opening Ceremony by Humberto Leon & Carol Lim, an ode to Kodak, a tribute to photography. 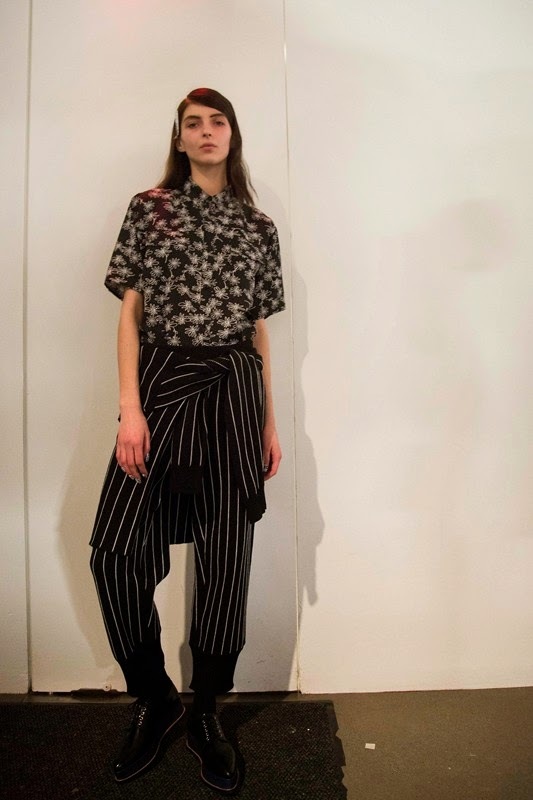 A perfect mix of retro and modernity that is perpetuated in the AW15 Women's collection (though some male models were also wearing the clothes) presented two days ago in New York. The presentation took place in an art gallery where were displayed never-seen before 35mm pictures (taken between 1985 and 2005) by Spike Jonze, the director of Being John Malkovich, Adaptation or more recently Her and long-time friend of Leon & Lim. But there's a twist! 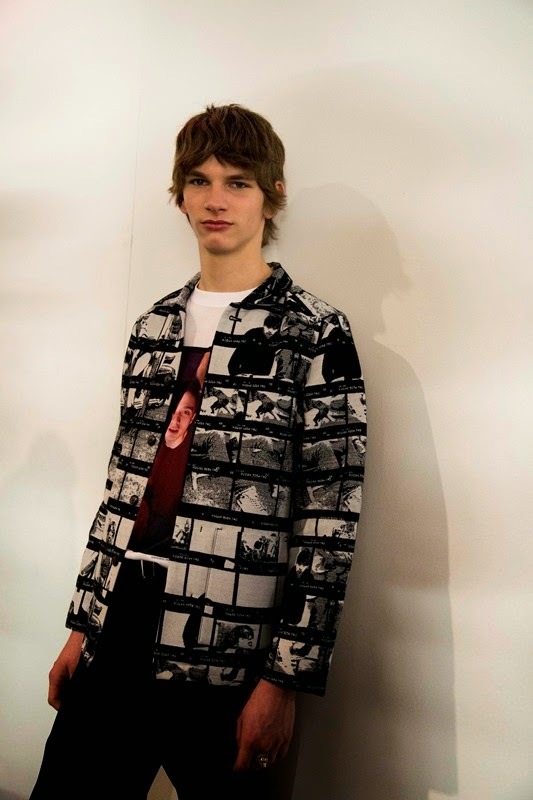 Indeed, Jonze's photographs were not only on the walls of the gallery but also and above all, on the clothes! As if, we were invited to go in the beginnings of the creation of a collection. The pictures on the wall serving as the inspiration, the mood board and as the starting point of what is worn now by models. And this plus makes this collection an absolute must-have for both men and women. So, what makes this AW15 collection so desirable? Pretty much everything actually! First, the colour palette mixing retro tones (ocre, camel, beige, mustard yellow), black, grey and beautiful shades of cobalt and indigo blue making us crave for next Autumn! Then the clothes themselves, so effortlessly cool and chic. Long asymmetrical knitted ribbed tops are worn over slouchy pants, culottes or skirts because the key in this Opening Ceremony collection is layering. One of our favourite looks (1st picture above) is a combination of a Kodak tee worn over a long knitted top worn over a long skirt and belted underneath with the kind of sliding belts (an interesting gimmick throughout the collection) we were used to wearing as teens. We are also completely obsessed with the pieces printed with Spike Jonze's pictures especially those in blue: the total look (jacket + pants) printed with BMX pictures (Spike Jonze is one of the first movie-makers that has found a deep interest in such countercultures as BMX and skateboarding) worn along with a white tee-shirt printed with an early pic of Chloé Sevigny, the absolute it-girl and friend of the OC duet. This collection is definitely a high-angle shot of the artistic and creative world/process of the director inasmuch as it also features pieces embellished with Jonze's handwriting and drawings. Thus, the mix of scribbled daisies printed shirt with the striped pants makes it a killer look just like the combo; pixelated picture printed crop top worn with a knitted top and slouchy pants: comfy/cool/arty. 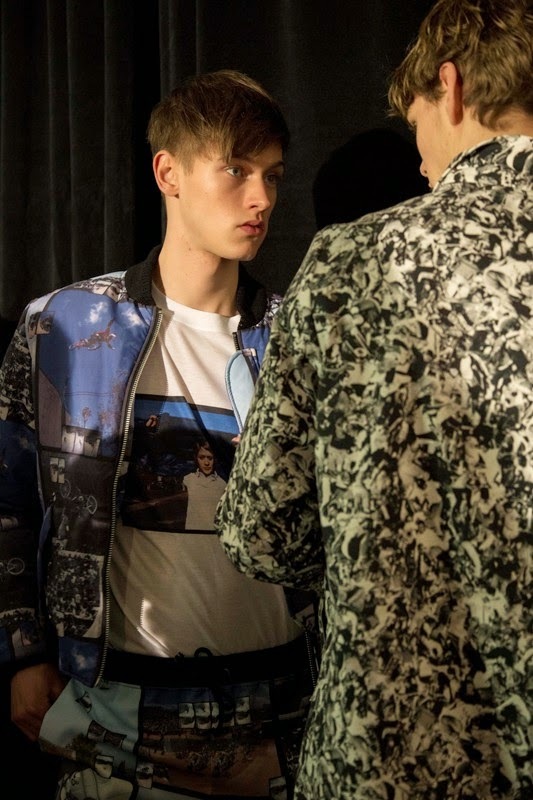 We had already seen the deep connections between Humberto Leon, Carol Lim and Spike Jonze who created a play to feature the SS15 collection of Opening Ceremony, but now they have taken a step further giving us (the viewers/the customers and future buyers) the permission to enter a creative experience and sharing something personal. This is not a coincidence if the exhibition, where were featured the clothes and the pictures, was entitled 'Please Use Your Best Judgement' as if both the designers and the director wanted us to make the difference between fashion and clothes, between a runway show and the display they were offering, between nostalgia and memories. 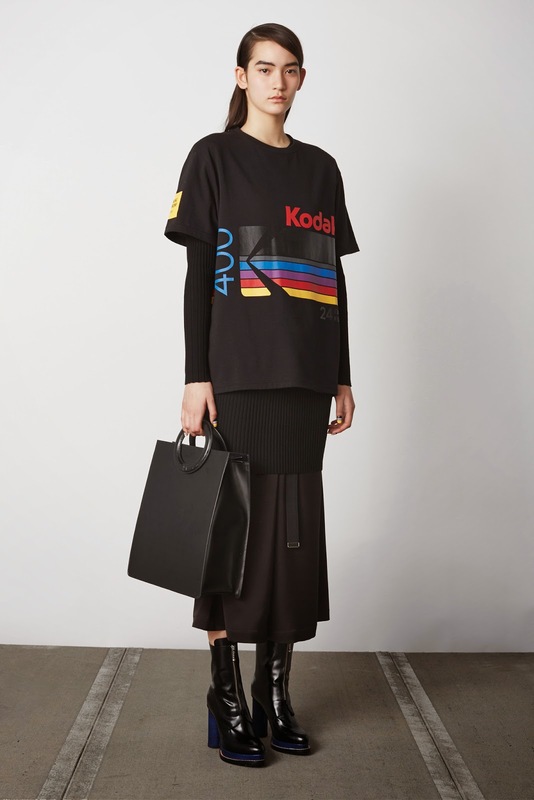 Here, this double tribute to Kodak and Spike Jonze was surely the best way and the best link between the Past (this never-ending trend of the 70s) and the Future (the clothes that we will be able to buy and wear in a few months). Dear Humberto Leon & Carol Lim, be sure that we will use our best judgement when we visit tour store to get our hands on some of these absolute and desirable must-have pieces!